We are committed to ensuring your future in engineering. 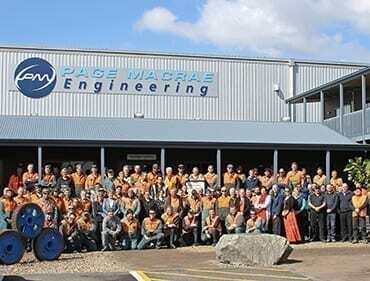 Because of our people, Page Macrae Engineering is considered one of New Zealand’s iconic engineering companies. If you have the talent, working with us you’ll be exposed to a range of interesting and varied projects across many industries. Find out how you can be the best that you can be through our ongoing mentoring and training. If you have the talent we seek, then we should talk about your career. We seek to recruit and retain the best people in the industry. Page Macrae Engineering are one of New Zealand’s largest employers of mechanical engineers. We have over 200 full-time employees, apprentices and contractors. A commitment to career development, a rewarding work environment and modern, well-equipped facilities make us a sought-after employer in the industry. If you enjoy working in a team environment and wish to work for a market leader, apply online with your CV and a letter outlining why you should be part of our team, or contact us to talk about your career. If you are seeking a long-term career in engineering or are seeking contract work, contact us today. Specific job opportunities are advertised on Net Your Job, Seek and Trademe. Search ‘Page Macrae Engineering’ for available positions. Second and third year university engineering students can apply for summer holiday placements for work experience. Please apply online with your expression of interest, telling us about your engineering course along with your CV and grades. We will encourage you to develop your potential in a professional team environment with ongoing training and mentoring, where supportive leadership is enhanced by policies that promote a healthy work/life balance. We provide a stimulating work environment which includes an active social club. To be successful and sustainable for our future generations to exceed 100 years in business.